The less deep discharge you do to an AGM battery, the longer it will last. Therefore, I chose the 100Ah configuration because it will allow me to mow longer without discharging as deeply at the 75Ah configuration. I plan to mow for around an hour each mowing session and that should be a fairly gentle discharge for the batteries. Likewise, I will make sure to charge the mower after each mowing session. If anyone is questioning whether an off the grid household can utilize one of these mowers, the answer is an unequivocal YES :-). Specifically, with 7.2kWh* [7200W] coming in from our solar array, it will be possible to charge the batteries (48V x 100Ah = 4.80kWh capacity [4800W) using only 40 minutes** worth of full sun. The actual charge time will be longer due to the amp rating of the charger itself, but in the end, we will only require about 40 minutes of sunlight to produce enough power to complete a full charge of the mower. *Note, for the time being, I will be using a normal AC outlet powered by our solar system, batteries and inverter. It should also be possible to do direct DC charging from a panel and MPPT or PWM charge controller that has been set for AGM batteries and wired appropriately. Is Owning a Ryobi RM480E Electric Riding Mower Cost Effective? 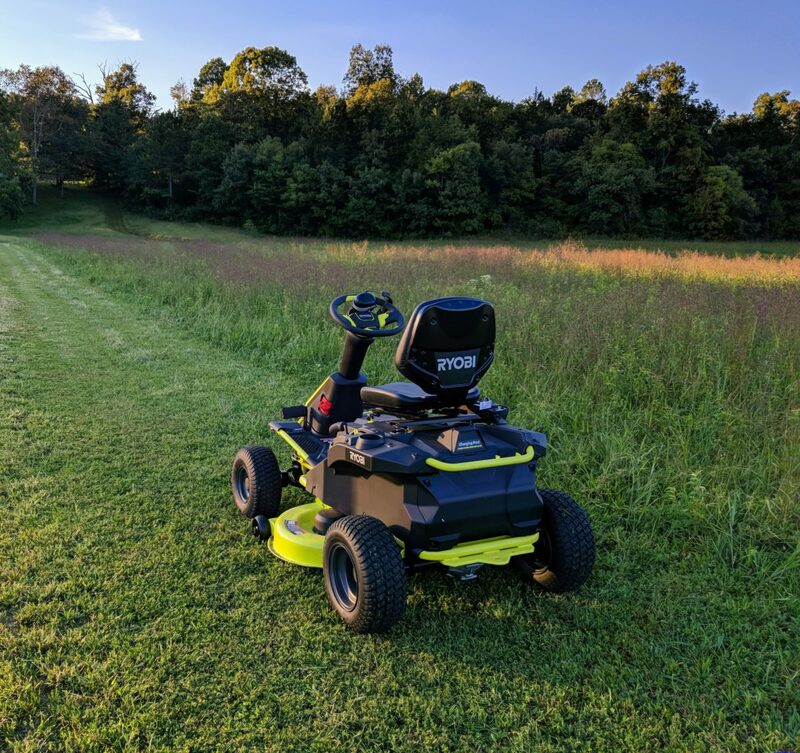 – TodaysMower.comhttps://todaysmower.com/is-owning-a-ryobi-rm480e-electric-riding-mower-cost-effective/Let’s see if we can justify the cost of the Ryobi RM480E battery operated riding mower. Many of us now want to dump the gas-powered riding mower for something quieter, easier to maintain and more environmentally friendly. But even so we’d like to feel good about that purchase. So let’s detail the purchase a new gas riding lawn mower, the Ryobi RM480E electric riding mower and then figure the cost of using each one for 5 years. How is it going with this mower? How long have you had it? Troubles? Pluses? Minuses? Thank you for your question 🙂 So far, six months in, the mower is still performing admirably! Troubles: nothing major so far, other than the ride is pretty stiff (no suspension) and I try to take to slow to minimize wear on the motor (and me). Pluses: it is an absolute joy not having to mess with fuel, oil and the assorted maintenance a conventional gas/diesel mower requires! Also, it is quieter than a normal gas/diesel riding mower which makes for a more relaxing mowing experience! It cuts very well and the battery life is still great. Spring is almost here so I will be doing plenty of mowing soon. 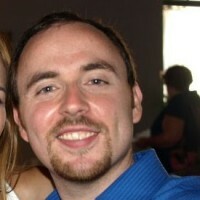 I will post here if anything changes.